Antelope Point boat rentals and jet ski services which offers the nicest recreational facility with amazing services and conveniences on Lake Powell. The name comes from the peninsula on which the marina is located, Antelope Point Marina. 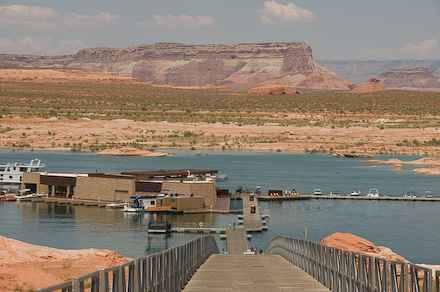 It is the newest of all marinas in Lake Powell, and has been designed to blend with the red sandstone rocks of which Lake Powell is known for with the high canyon walls. Lake Powell Boat Rentals suggest this marina for people who like a restaurant on the water, with a store, and other amenities for worldwide houseboat travelers. We offer guided water sport activities which are wakeboarding, water skiing, wakefoil, kneeboarding, wakesurfing, wakeskating and more! 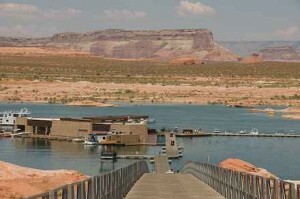 Antelope Point Marina is located just seven miles from the City of Page, Arizona, the resort and marina is uniquely positioned within the boundaries of the Navajo Nation and the Glen Canyon National Recreation Area, and only 25 min boat drive from the Glen Canyon Dam. Antelope Point boat charter tours, and water sport lessons are what Lake Powell is most know for with all the deep canyons. Whether you are staying for a week or just visiting for the day, we have the PWC watercraft rentals, sea doo, and waverunner rentals for you. Enjoy a three to seven day houseboat vacation at Antelope Point Marina which offers a variety of, speed boats, power boat rentals, and water toys for rent. Some unique places to visit on Lake Powell are: Cathedral in the Desert, La Gorce Arch, Navajo Canyon, Antelope Canyon (water side), West Canyon, and Rainbow Bridge National Monument.